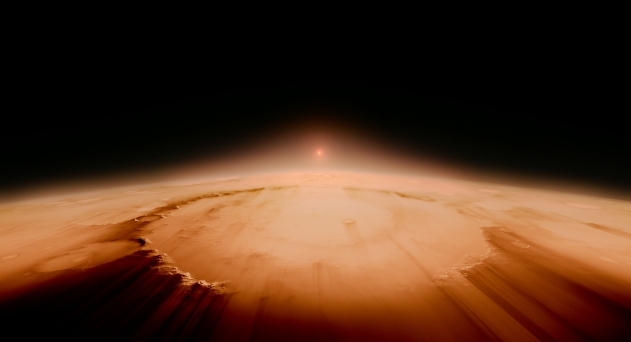 Writer and director Terrence Malick’s first documentary-style feature film, VOYAGE OF TIME, tells the story of the universe. Brad Pitt narrates the IMAX version and Cate Blanchett narrates the theatrical version. Science & Film spoke with the film’s chief science advisor Dr. Andrew Knoll, in an interview which will be published later this week. VOYAGE OF TIME will open in IMAX on Friday, October 7. Werner Herzog’s latest documentary INTO THE INFERNO takes him to the precipice of volcanoes around the world–from North Korea to Indonesia. His companion is the volcanologist Clive Oppenheimer from the Department of Geography at the University of Cambridge. Netflix is releasing the film on October 28. Peter Berg’s DEEPWATER HORIZON is a thriller based on the true story of the Deepwater Horizon BP oil spill, which devastated the Gulf of Mexico in 2010. It focuses on the engineers who worked on the oilrig. Mark Wahlberg, Kurt Russell, John Malkovich, and Kate Hudson star. The film is in wide release with Lionsgate. TESLA, directed by David Grubin, is a documentary about the famed inventor Nikola Tesla. He invented a motor to distribute alternating current electricity, and invented radio. TESLA will be broadcast on PBS’s THE AMERICAN EXPERIENCE on October 18, 2016 at 9pm. Stay tuned to Science & Film for a feature article about the film. The one man-play THE ENCOUNTER is based on the journals of a National Geographic photographer who became lost in a remote valley in Brazil in 1969. Theatergoers wear audio headsets in order to fully experience the play. The audio was recorded with a technique called binaural audio, which allows for a 360-degree experience of sound. THE ENCOUNTER opened at the John Golden Theater on September 29; it is directed and performed by Simon McBurney, Stay tuned to Science & Film for an article on binaural audio as used in the play. The Imagine Science Film Festival is in its ninth year. Begun by scientist-turned-filmmaker Alexis Gambis, and run with the help of chief programmer Nate Dorr, this year’s festival showcases short, documentary, and feature films around the theme of light. Science & Film will be speaking on a panel, co-presented by Vice’s Motherboard, about science video platforms on October 20 at BRIC. A reception will follow the discussion. The 54th Annual New York Film Festival, presented by the Film Society of Lincoln Center, runs September 30 to October 16. The Festival will premiere James Gray’s THE LOST CITY OF Z, Albert Serra’s THE DEATH OF LOUIS XIV, and João Pedro Rodrigues’ THE ORNITHOLOGIST, among others. Science & Film will be publishing a complete listing of scientific and technologically-themed films at the festival. The Hamptons International Film Festival will take place In East Hampton from October 6-10. The festival is directed by Executive Director Anne Chaisson and Artistic Director David Nugent. This year’s festival will premiere Garth Davis’s film LION; other films in the lineup include Werner Herzog’s INTO THE INFERNO and Chris Hegedus and D.A. Pennebaker’s UNLOCKING THE CAGE. For three days in October, the Future of Storytelling will present the Future of Storytelling Playground in New York at The Africa Center on Fifth Avenue. This is the first immersive storytelling festival. It includes games in virtual and augmented reality as well as a 50-person virtual reality theater. Science & Film will be in attendance and report back. The Lower East Side gallery Magenta Plains is giving the computer-film pioneer Lillian Schwartz her first solo show in New York. Schwartz was part of the Experiments in Art and Technology program, which paired engineers at Bell Labs with artists. Museum of the Moving Image included her films in its exhibition Computer Art of the 1960s. The show at Magenta Plains is on view through October 30. The Whitney Museum of American Art’s groundbreaking group exhibition, Dreamlands: Immersive Cinema and Art, 1905-2016, is curated by Chrissie Iles and opens October 28. Science & Film conducted an exclusive interview with Iles, which serves as a preview to the exhibition. Two Sloan-supported artists–Frances Bodomo and Lynn Hershman Leeson–are featured in the exhibition. Leeson has written for Science & Film about the technological innovations she has pioneered in her artwork. Another artist represented in the show, Pierre Huyghe, spoke with Science & Film about his work bringing to “life” a two-dimensional image, which will be exhibited. The Intrepid Sea, Air & Space Museum in New York is exhibiting Star Trek: The Starfleet Academy Experience now through October 31. Among the interactive activities for museumgoers is a teleportation device called a transporter. Science & Film went to the museum to experience the technology, and wrote about the science which explains how the device functions. The Contemporary Jewish Museum in San Francisco has an exhibition about the pioneering director and writer Stanley Kubrick, which is up until October 30. The exhibition includes set models, props, production photography, and costumes. Kubrick’s films include 2001: A SPACE ODYSSEY; Museum of the Moving Image is closing its exhibition of concept drawings from 2001: A SPACE ODYSSEY on October 9. In conjunction with Museum of the Moving Image’s exhibit, Science & Film interviewed Kubrick’s special effects supervisor Douglas Trumbull about his work on the film.